On November 30th, the four-day Bauma CHINA 2018 came to a successful conclusion. 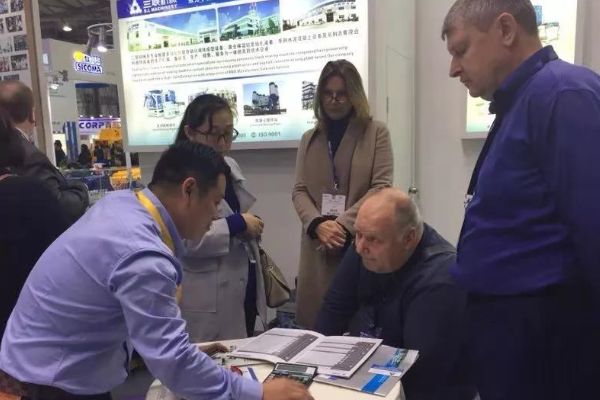 This Bauma CHINA 2018 gathers 38 countries and regions in the world, 3350 participating enterprises, more than 200,000 visitors come to visit and negotiate. Sanlian Machinery has the privilege together with the industry leaders to witness the new height of China's construction Machinery Industry. On the exhibition site, visitors from different countries and languages gathered in a crowd. Our sales and technical staff enthusiastically provide customers with the most professional and meticulous product introduction. 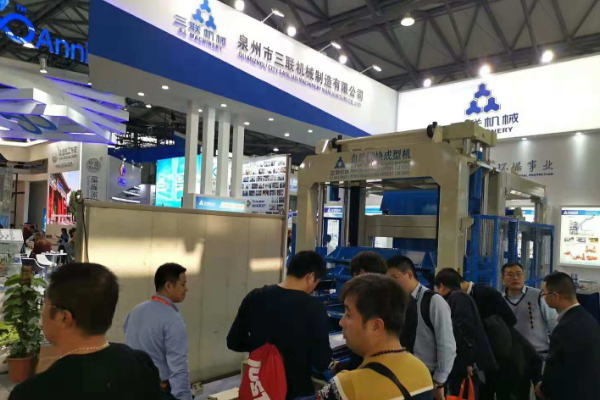 In this exhibition, the Sanlian Machinery booth has become a beautiful blue scenery in the venue, attracting many visitors to stop and watch, of which the most inquired is the servo vibration control system. 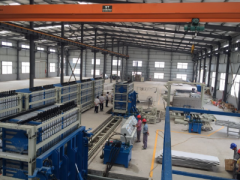 The advantages of efficient production and humanized control have been favored by customers at home and abroad, and a large number of orders have come. 1) quick response. The acceleration time of vibration is less than 1 s for rapid prototyping, and the time of vibration elimination for demoulding is less than 0.3 s for eliminating residual vibration effectively, which accelerates the speed of forming and demoulding and improves the efficiency. 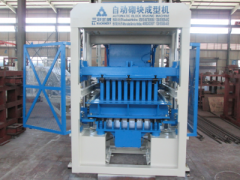 2) Vibration effect is good and energy consumption is low. Because the servo motor has high control precision, fast response, and each motor is an independent unit, there is no interference with each other, which overcomes the energy offset and loss caused by other vibration needs mechanical synchronization. 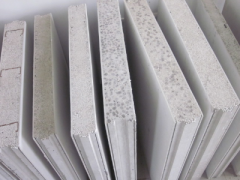 The vibration effect is better and the energy saving effect is obvious. 3) Improve production efficiency and reduce equipment damage. 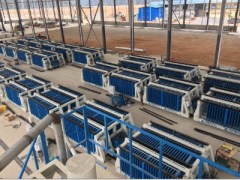 Because the vibration speed is fast and the time is short, the forming period is shortened, and the damage to the equipment caused by the long time vibration is reduced, and the service life of the equipment is prolonged. 4) Streamlining equipment structure. Because each servo motor is an independent unit, there is no need for synchronization between them, which reduces the mechanical structure and facilitates maintenance. 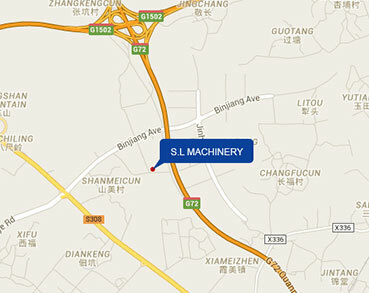 Over the years, in order to keep ahead of the industry, SL- Machinery has continuously enriched its product line, fully opened a multi-functional automatic block production line, assembly wall panel equipment production line, environmental protection mixing plant and other lines of development.